Toilets are available in all varieties of shapes, heights, sizes, and colors. Toilets are available in all varieties of shapes, heights, sizes, and colors, but when it comes down to their actual operation, they work in only one of two ways. 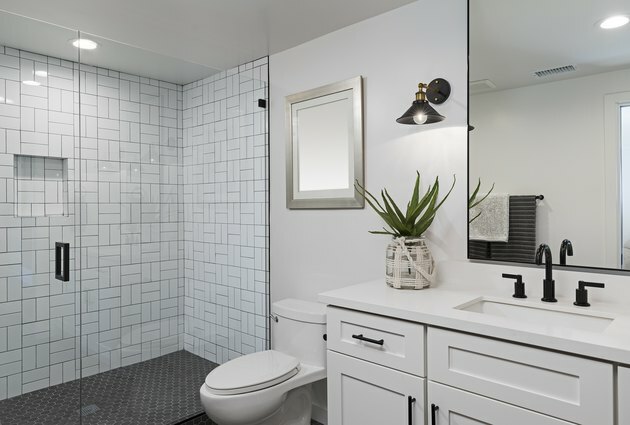 You've got the gravity-flush toilet and the pressure-assisted toilet (although there are variations within each type). When you flush a conventional toilet, gravity causes the water in the tank to drop down into the toilet bowl, where it flushes waste through the built-in trap assembly and into the house drain system. It is a remarkably simple mechanism, though sometime prone to problems, such as clogging. A pressure-assisted toilet, on the other hand, uses a completely different flushing mechanism. Its tank contains an air bladder. As the air bladder fills with water, the air inside it gets compressed. Flushing then releases the pressure, causing a jet of air to forcefully push the water through the toilet bowl. From the outside, a pressure-assisted toilet doesn't look any different, but when you open the tank, you'll see that it contains no water—just a black air bladder. So when it comes to the game of thrones, how do pressure-assisted toilets stack up? They have greater flushing power than a gravity toilet, so they outperform them at removing solid waste. 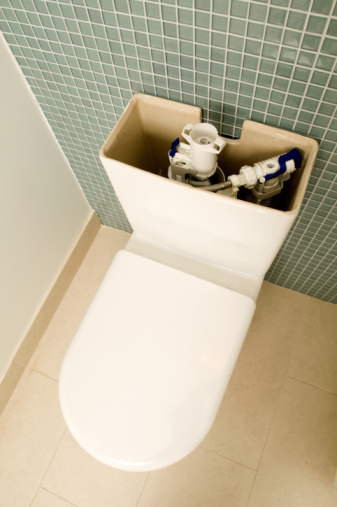 This powerful flushing action reduces the chances of clogging. More flushing power also results in a cleaner bowl after each flush. Power-assisted toilets are more water-efficient than gravity toilets. The tanks don't sweat because the water is inside the air bladder. More expensive than gravity toilets. The more advanced technology of a pressure-assisted toilet requires a qualified plumber to repair it. If you try it yourself, you'll almost certainly have to order the parts online and wait for them to arrive. Not every toilet manufacturer makes this type of commode, and they're not as prevalent in homes as gravity-flush toilets. However, you have probably come in contact with a pressure-assisted toilet in public restrooms, where they're common. Their efficiency, though, is gradually making them more popular in residential use. Dare we call it a … royal flush? Now don't forget to wash your hands.